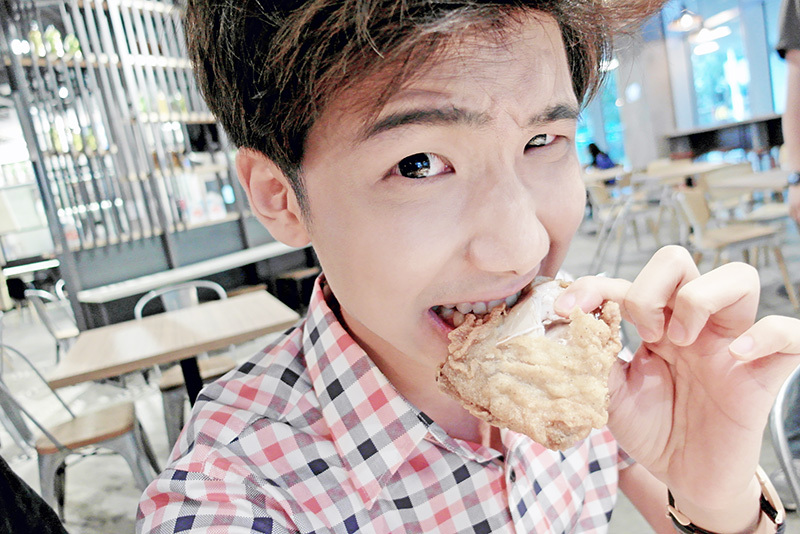 I'm always super thrilled, when I know that KFC is going to launch a new menu!! I really like how they always surprise and bring us all these awesome new flavours that will never fail to satisfy and excite our taste buds! 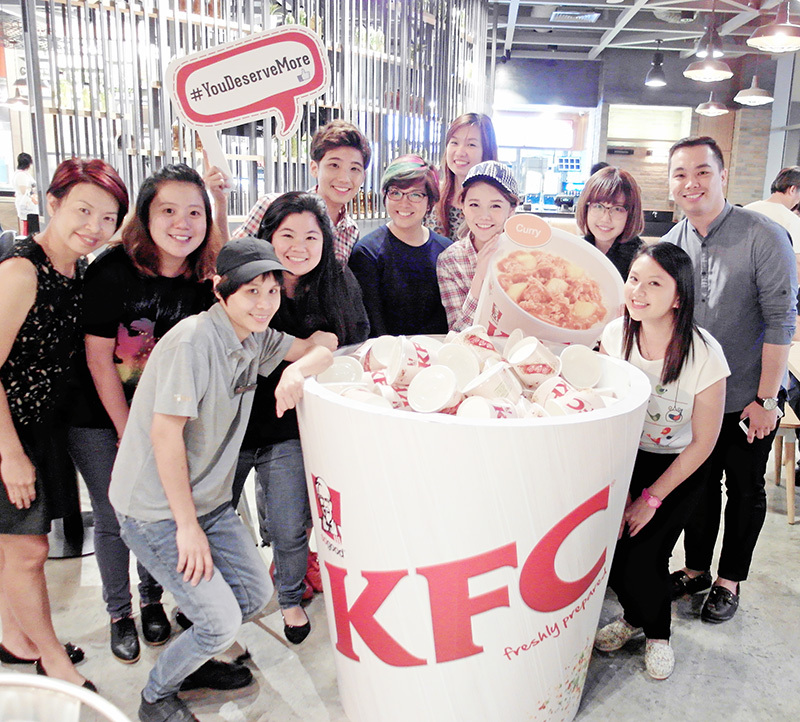 :p This time round, they are going to unveil another new flavour of Rice Bucket (apart from À La King & Original Recipe flavour) and it got us really excited! 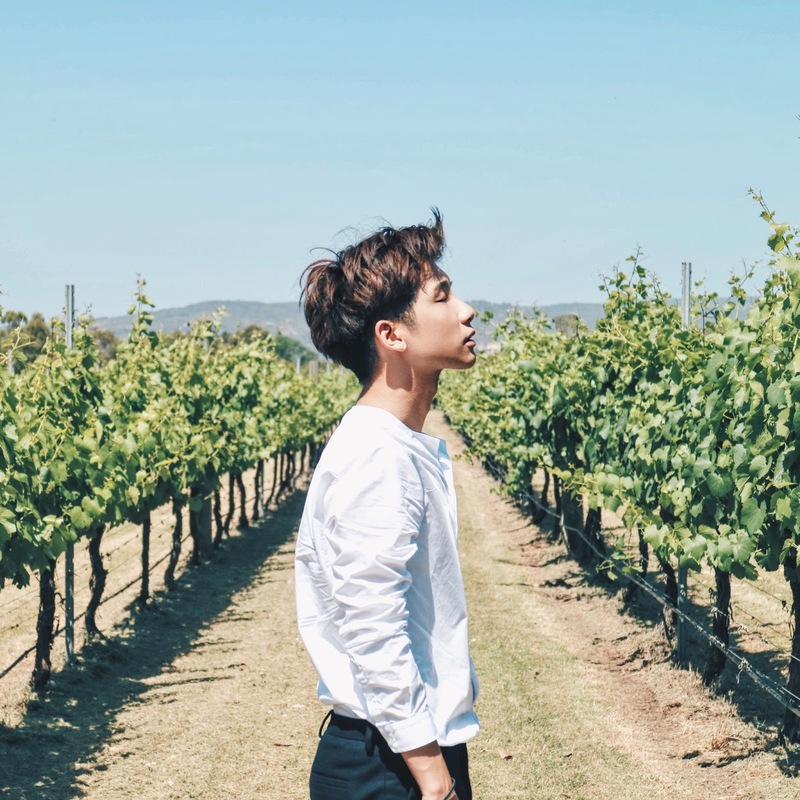 Fans that are exclusively picked from their Facebook Page to attend the fan party! 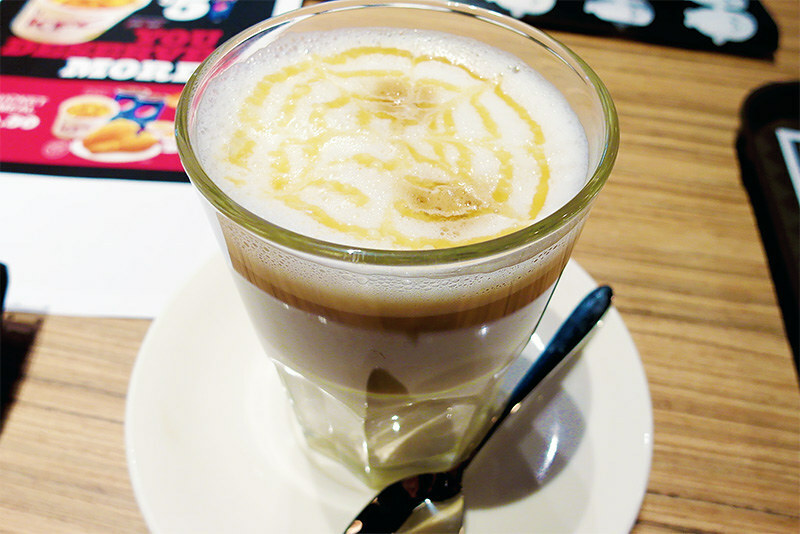 While waiting for my Rice Bucket, I ordered myself a Salted Caramel Latte from KFC Coffee, their new café concept! First time trying the drinks from their café and its actually pretty good! 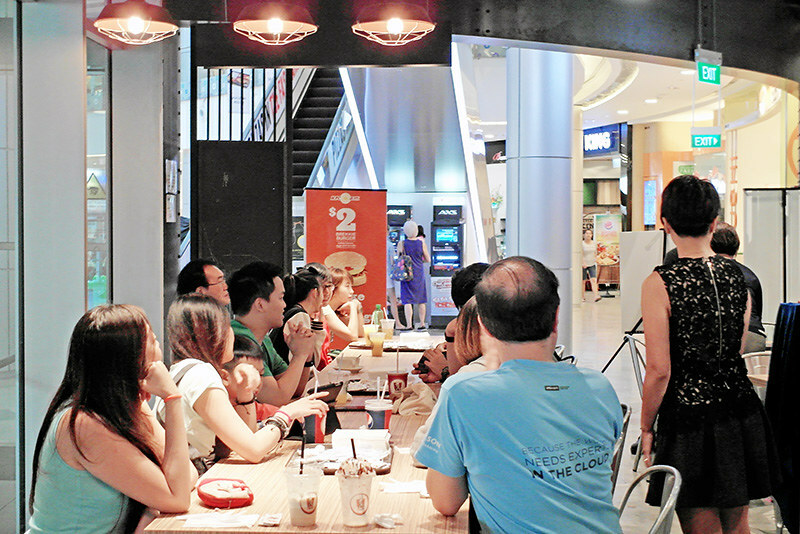 There are 4 across the island at KFC ARC, NTU, Valley Point and The Signature. Go check it out! The new Rice Bucket is here!!!!! 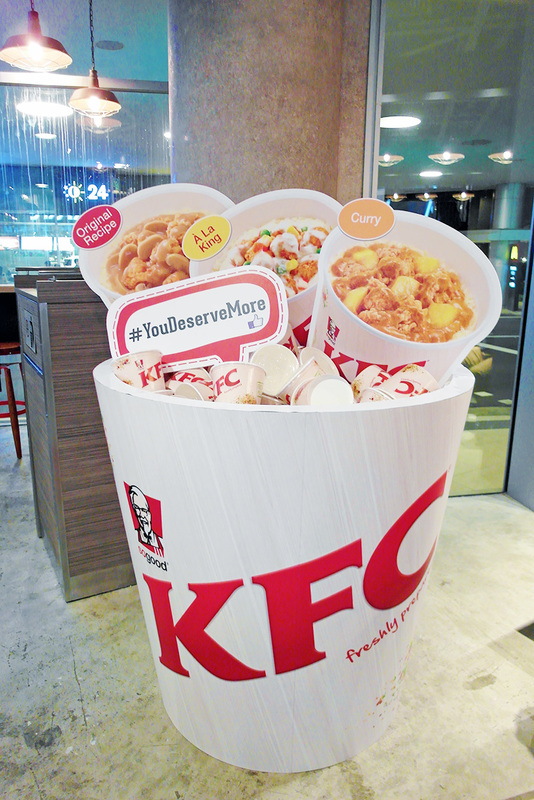 Let's all welcome the new, KFC Curry Rice Bucket!! I think most of us here love curry right and I was really happy to know it’s curry flavour! 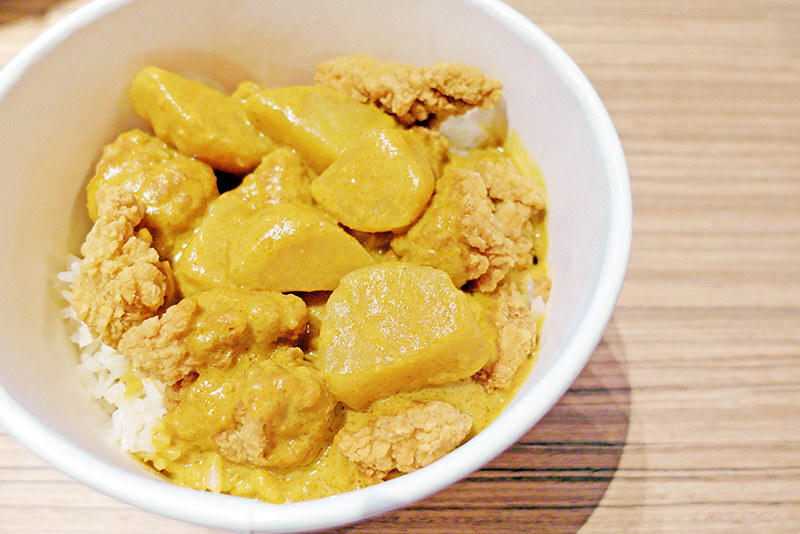 The Curry Rice Bucket comes with more than 300g of fragrant chicken rice, topped with crispy Popcorn Chicken and smothered in a creamy potato curry. De-li-cious! 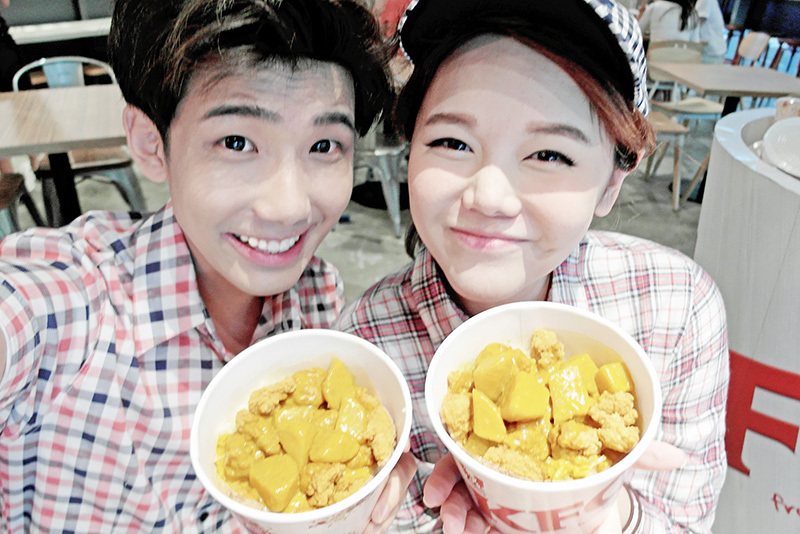 And both of us actually find that the KFC Curry Rice Bucket comes at the right time since our nation commemorates its Golden Jubilee this year! SG50!!!! What better to celebrate the year with our very own localised flavours right!!! All along, I really love eating curry and I always eat a lot when my mum or grandma cooked it at home on normal days! 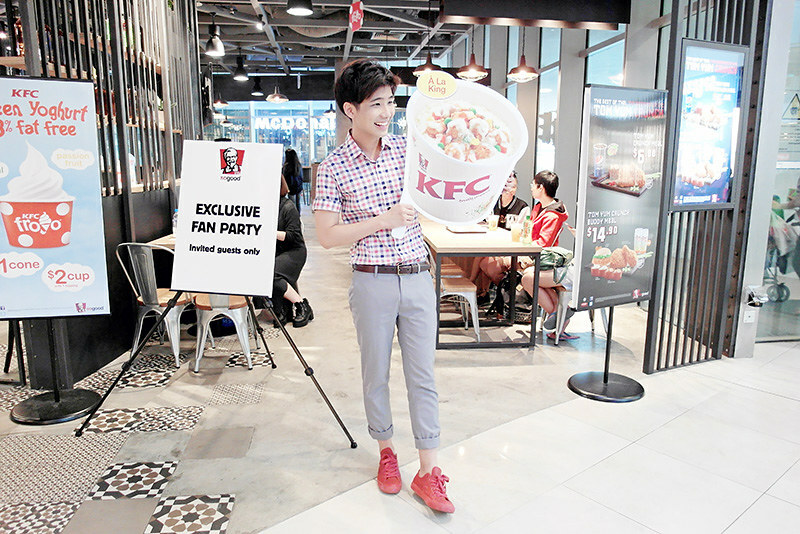 So when it comes to the KFC Curry Rice Bucket, I also like it a lot since it's curry heh!! I personally find the serving portion pretty huge and satisfying, especially the rice (it comes with more than 300g of chicken rice wow!) which is so fragrant and nice! As for the curry taste, I find it just nice for everyone's taste buds as it is not way too spicy or too bland. So I'm sure all curry lovers (or even if you're not), you guys will sure love it with this new twist to their Rice Bucket! 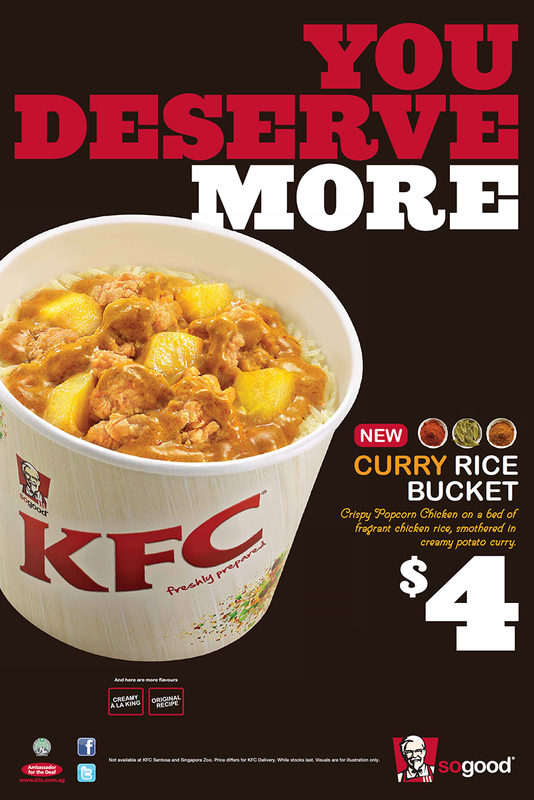 What's even better is that, this delicious KFC Curry Rice Bucket is only at $4!!!!! 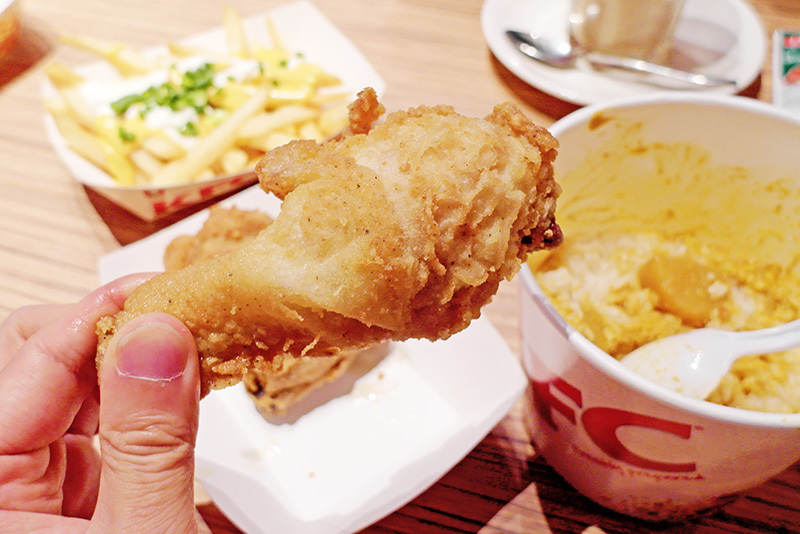 Yes, it's just $4 with Popcorn Chicken, Creamy Potato Curry and Chicken Rice... all in bucket! So worth it! Anyway we also ordered Cheese Fries to share among us! 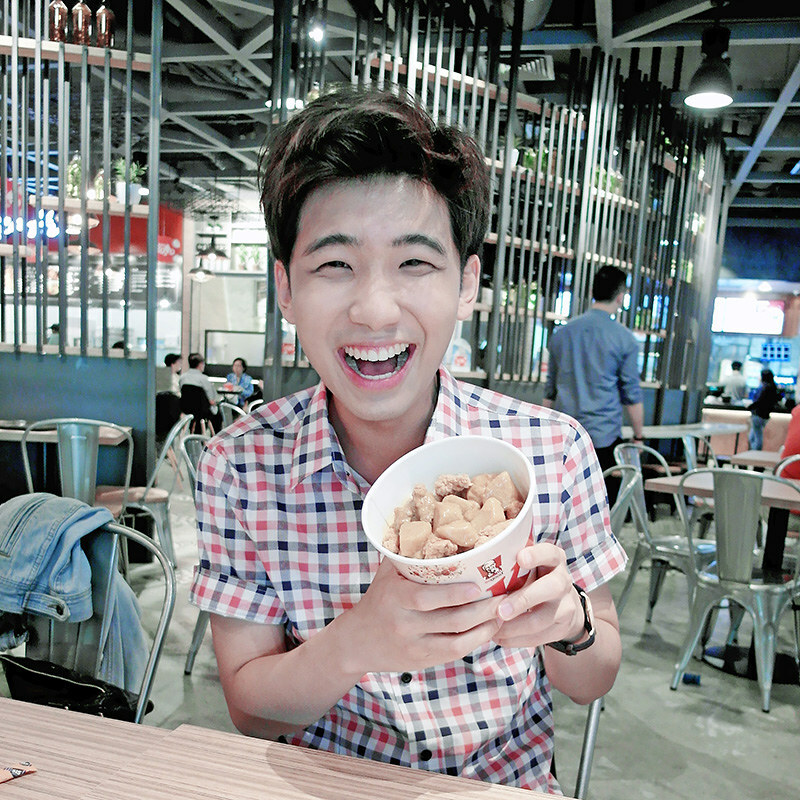 I always never fail to order this whenever I'm eating at KFC. 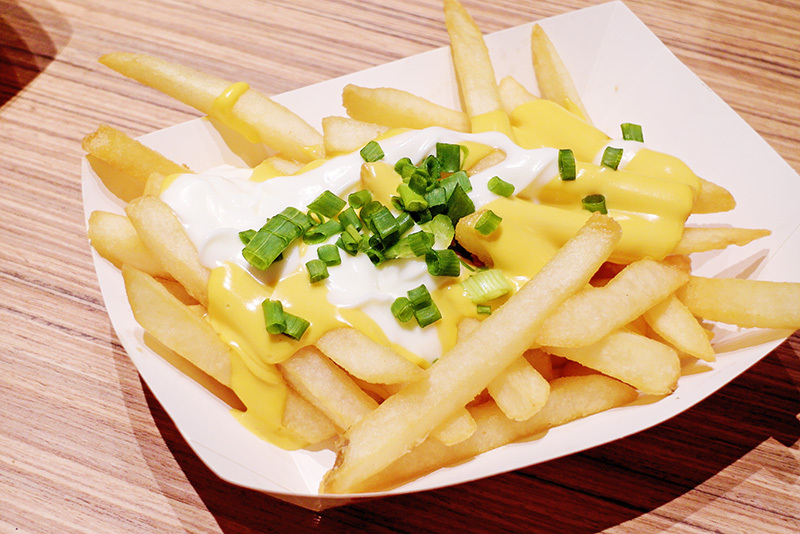 Usually I'll change my Whipped Potato to Cheese Fries because I LOVE their Cheese Fries! Yum yum yum! We also had their signature Original Recipe chicken too! I just realised that we were such a glutton that day! 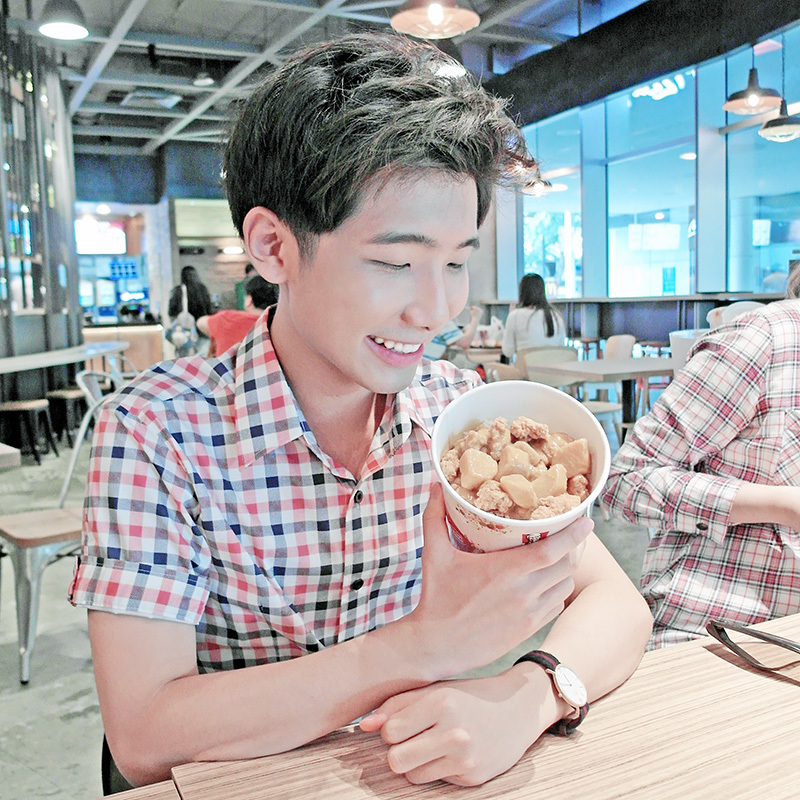 But everything is so nice, we just couldn't stop eating! 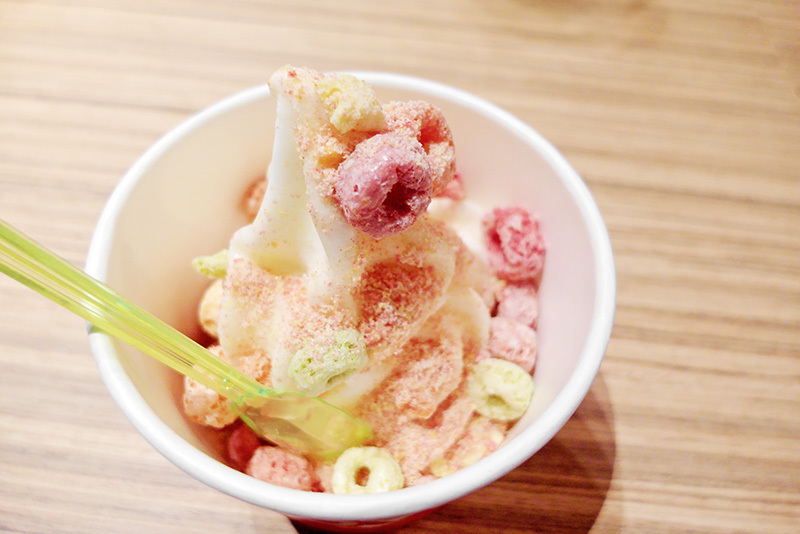 For dessert (yes, dessert), we had their very own, KFC Froyo! Which is amazing!!! 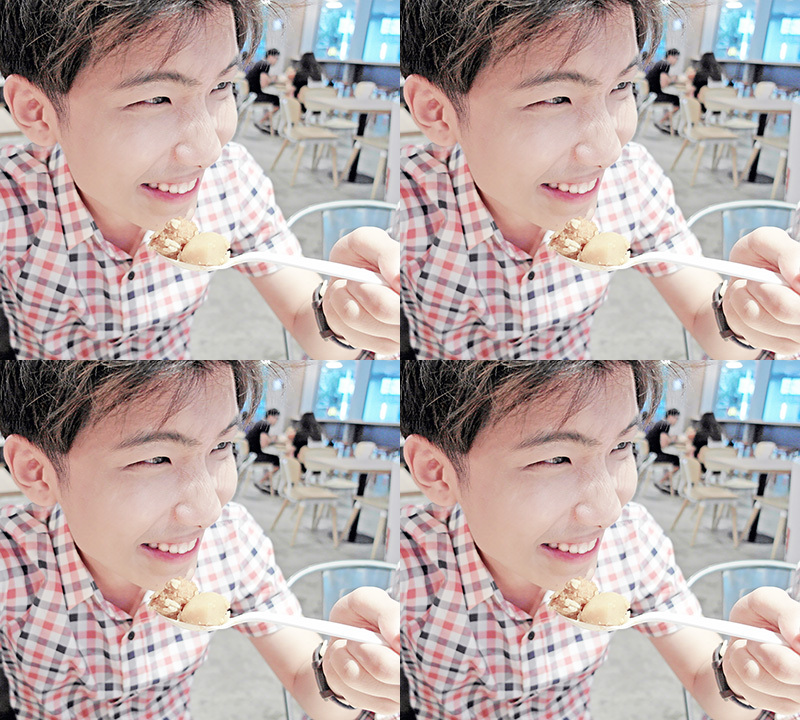 Okay, I don't want to be exaggerating but Isaac and Esther were with me for the food tasting and they told me that they love their froyo so much that they think it’s better than many of the froyo out there (which people are queuing up for). Recently they still text me to tell me that they miss eating it and they want to go eat again omg! I really liked it too and find it very affordable as well! 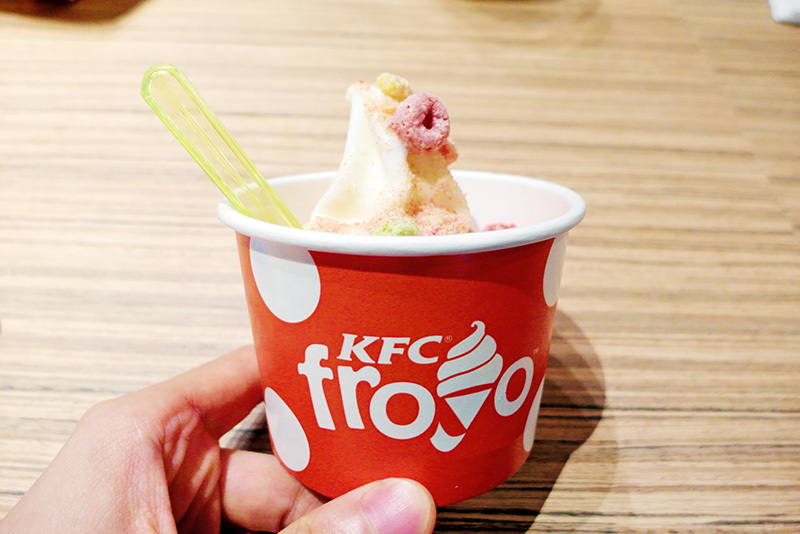 There are 25 KFC restaurants serving KFC Froyo now so you can check out their website for one nearest you! 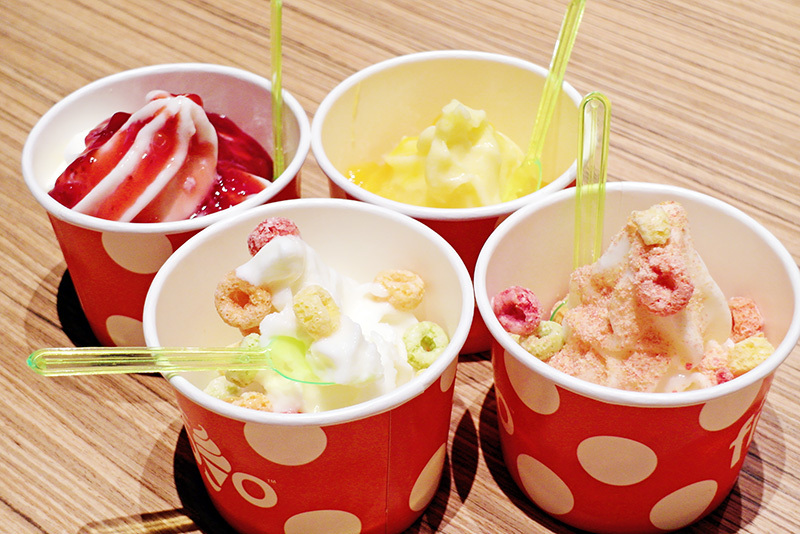 All our Froyo! Some of them had the strawberry and mango sauce as toppings! 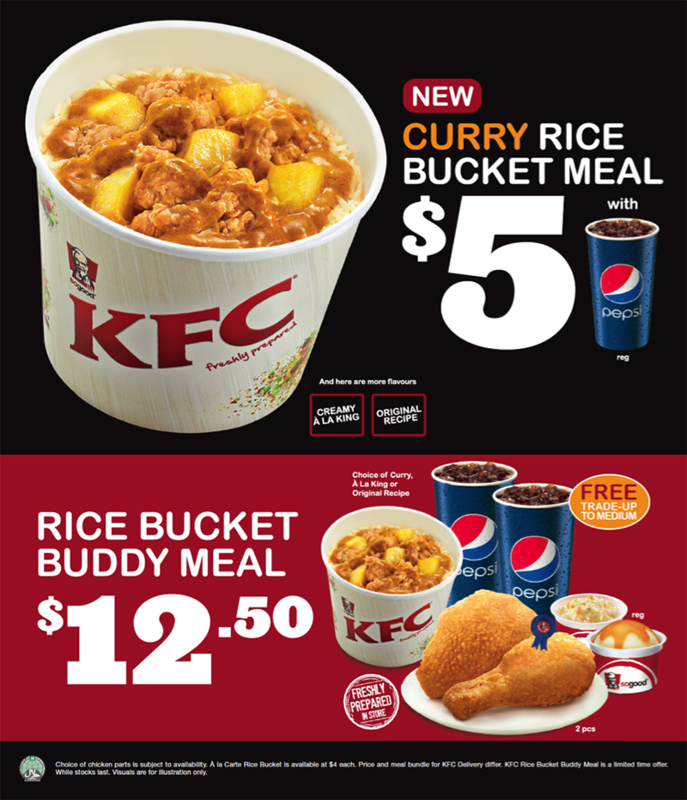 The new KFC Curry Rice Bucket also comes in a Meal and a Buddy Meal! 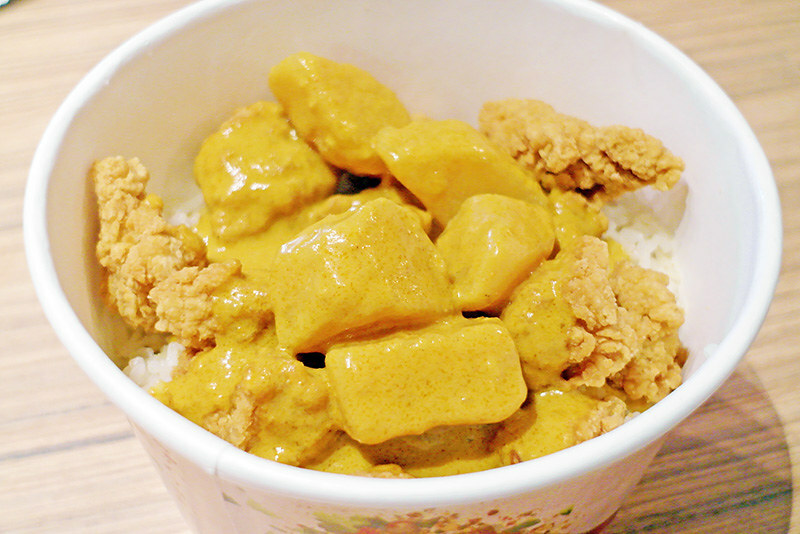 The Curry Rice Bucket Meal comes with a Curry Rice Bucket and a Regular Pepsi at $5! They also have Rice Bucket Buddy Meal, which comes with Rice Bucket (where you can choose among Curry, À La King or Original Recipe), 2 pieces of chicken, 2 regular sides - Whipped Potato & Coleslaw and 2 medium Pepsi at $12.50! 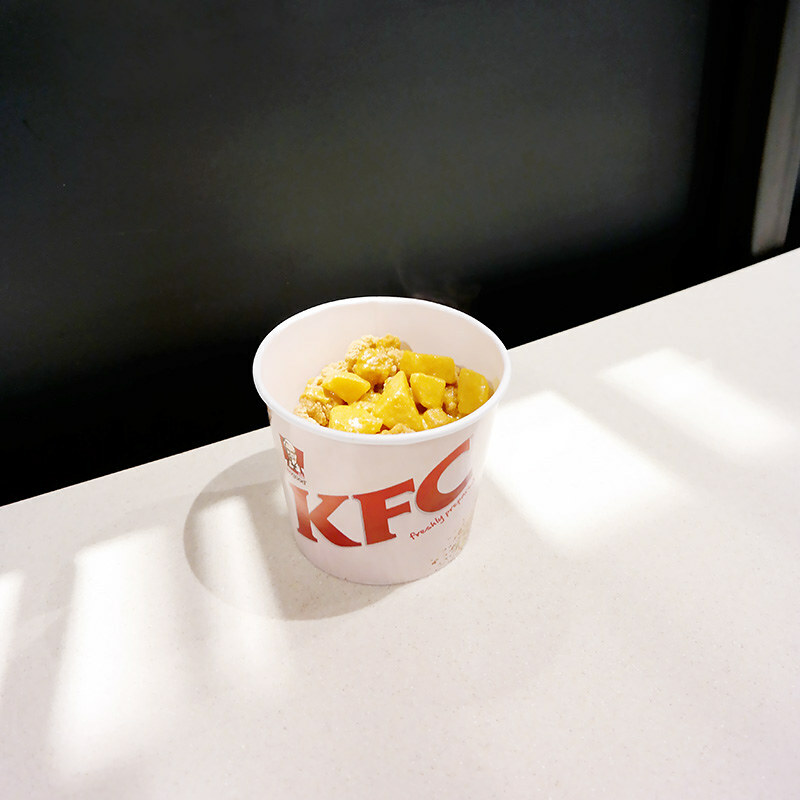 I love how we can enjoy this bucketful of goodness at just $4 and $5 for a meal with regular Pepsi. And spoiling us for choices with the trio buckets (Curry, À La King & Original Recipe) when we order the Rice Bucket Buddy Meal! Because #youdeservemore!